NEC is looking to jettison their struggling mobile phone division after two straight years of losses. The move would help the Japanese company increase profitability despite the fact that they have said until now that it’s an important part of their overall operations according to an anonymous source as reported by Reuters. 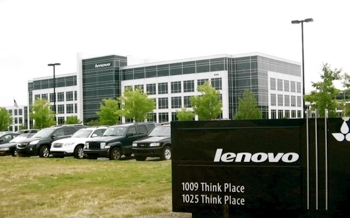 Unsurprisingly, Lenovo appears to be the frontrunner for an acquisition although the source said NEC is also in discussion with a couple of domestic buyers. In response to the media reports, NEC said in a statement that amid the rapidly changing market, they are considering a number of ways to bolster the competitiveness of their mobile phone business. The company reiterated that nothing had been decided, however. This isn’t the first time that Lenovo’s name has come up with regards to a mobile phone acquisition. Back in January, Lenovo’s CFO Wong Wai Ming said his company was assessing multiple acquisition targets including BlackBerry. He went on to say Lenovo would have no hesitation if the right opportunity came along. Officials quickly dispelled the talk as being taken out of context but just last month, rumors of a BlackBerry takeover surfaced once again. Shares in the Canadian handset maker shot up 15 percent on the news. In related news, the company is also rumored to be selling its mobile services subsidiary NEC Mobility Ltd for up to $850 million. Marubeni Corp’s telecommunications unit is reportedly trying to acquire a 51 percent stake in it, sources said.